Just half-way through their loan period, our newest women entrepreneurs are already doubling their family income and lifting their family above the poverty line! 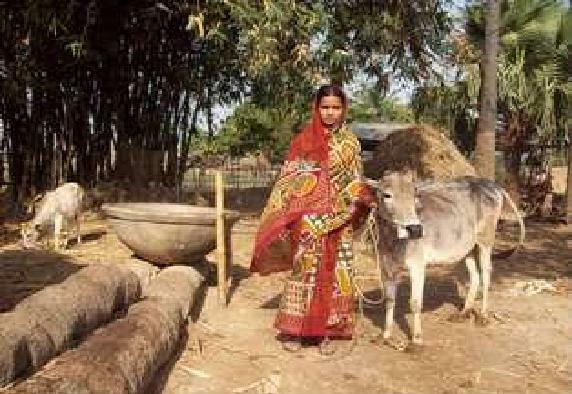 Read this case study to meet amazing women like Sajenur Bibi, who convinced her husband to switch from back-breaking day labor and invest in cow husbandry. Thanks to her $200 loan and business advice from our partner NGO ERDS, her family income rose from Rs 2,000 to Rs, 5000 in just six months! The family is planning to open a small grocery store with their new savings.